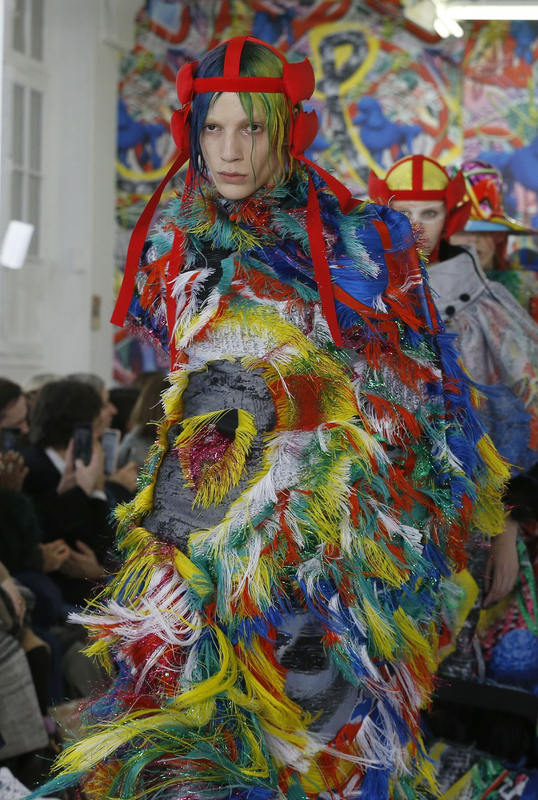 Paris Couture Fashion Week is one of the most gorgeous introductions to the New Year that one can ask for. While the collections are centered around the sartorial works of art on the runway — born of creative craftsmanship that’s unmatched nearly anywhere else — the beauty looks can't be overlooked either. 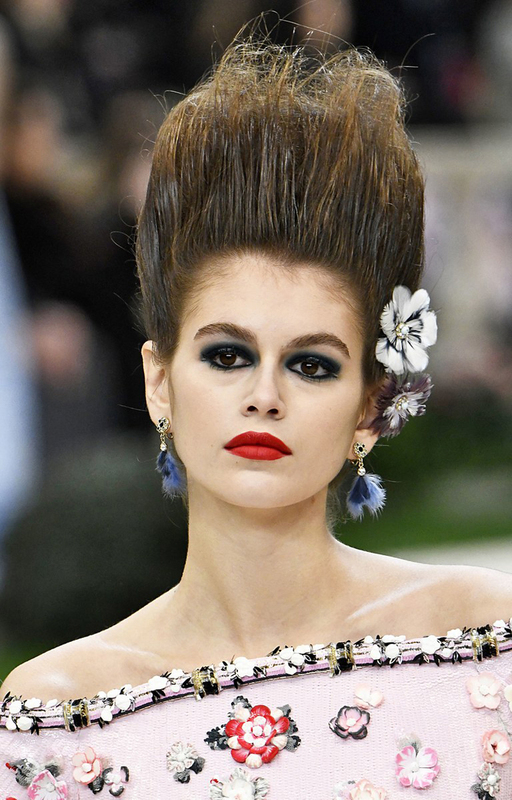 This year, Iris Van Herpen brought us colorfully-tipped bangs, Alexis Mabille showed flowers adorning the crowns of models’ heads and cascading down their cheeks, and Chanel debuted hair that stood straight up atop each girl’s head, as if defying the laws of gravity. 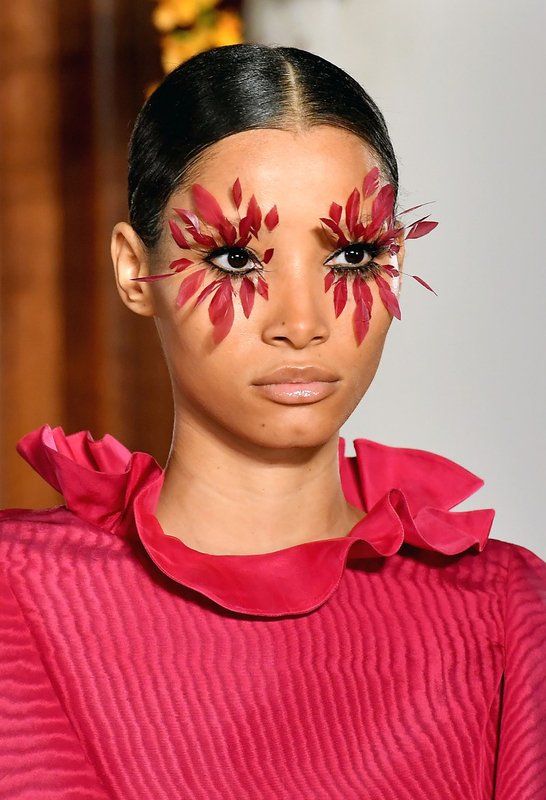 For all that and more, check out the most jaw-dropping beauty looks from this year’s Paris Couture Shows. 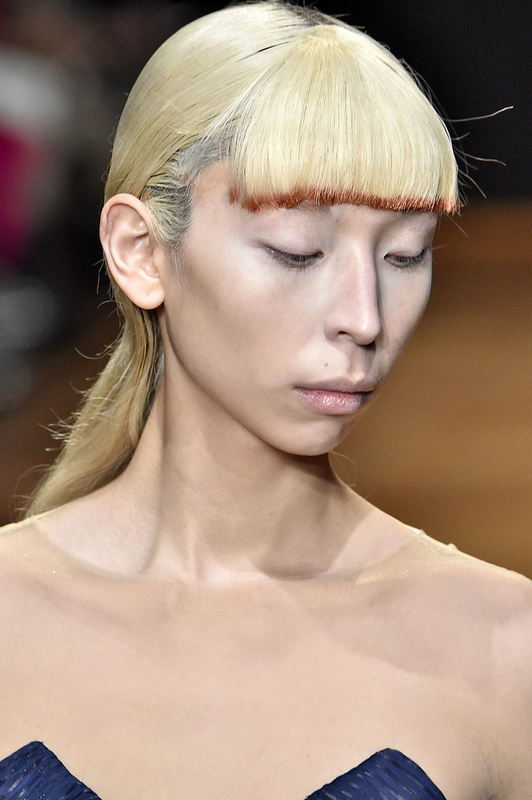 You heard it here the new lash extrenders are...feathers. And they are gorgeous. 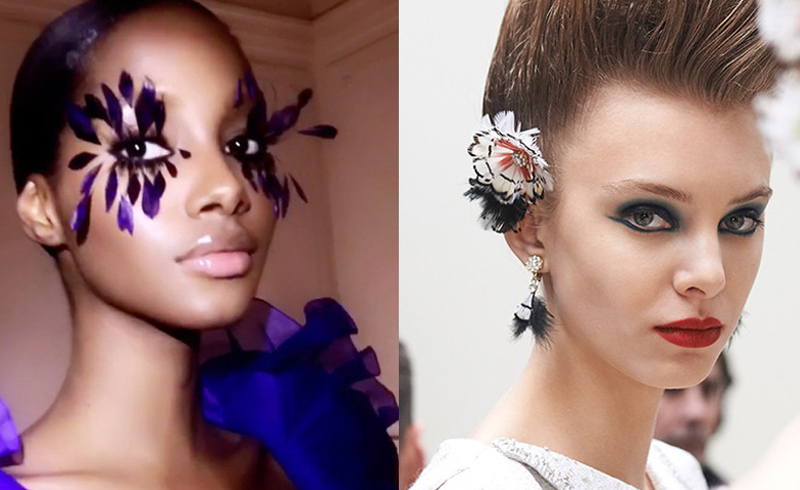 You heard it here: the new lash extrenders are...feathers. And they are gorgeous. 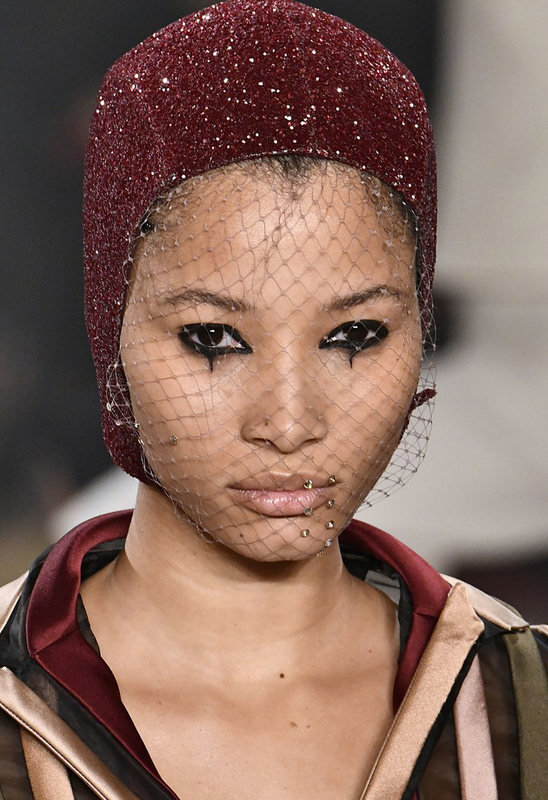 Adding a little subtle edge with teardrop-shaped eyeliner under face netting. 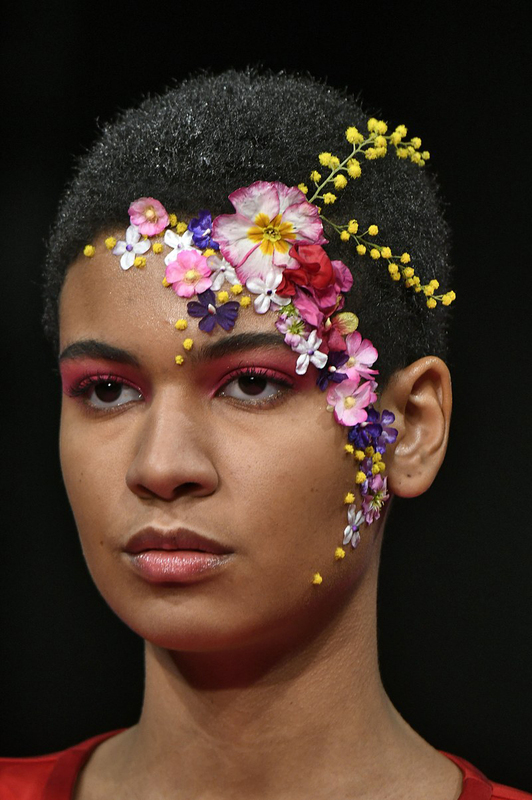 Yes, we’re going to start gluing flowers to our faces to have us dreaming of warmer weather. 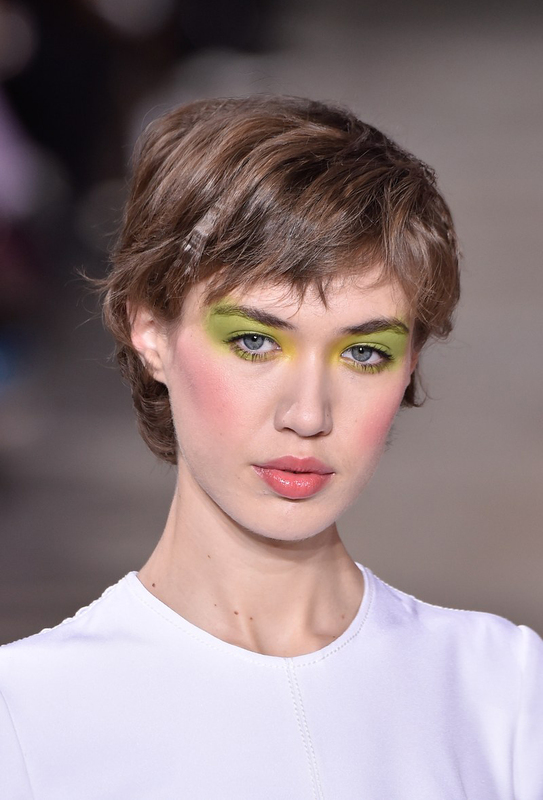 In one of the more relatable looks on the runway, consider tipping your bangs with a little pop of color this season. Hair that makes you quite literally grow in inches! Rainbow hair to match your rainbow look? Yes please! A gorgeous pop of color with neon eyeshadow all around the eye.